Because my grandsons have an in-ground trampoline at their house, you wouldn't think they'd get much fun out of the Bounce-A-Round I reviewed a while back — which Bubby and Mac had not yet seen. During their visit a couple weeks ago, though, once Patrick brought his son over and the inflatable bouncing thingamajig was inflated, Bubby, Bud and Mac had a boisterous bouncing blast. 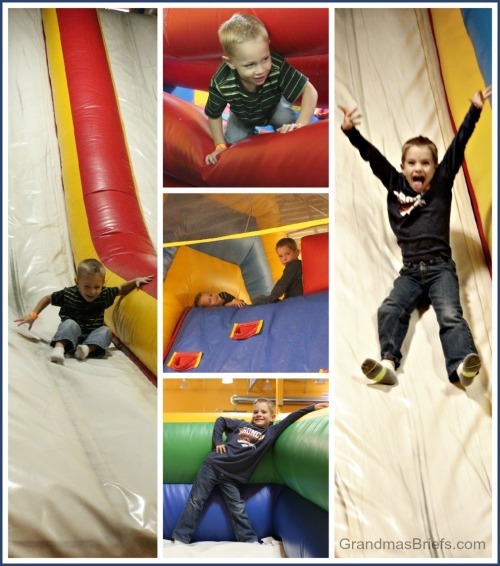 A couple days later, the bouncing blast was supersized when PawDad and I took Megan and our grandsons to Jump-N-Jacks, an indoor inflatable fun center with massive bouncy-house-style structures that include climbing walls, slides, a pirate ship and much more. While there, I learned some valuable tips for grandmothers and others who might face a similar outing with children in the future. Tip No. 1: Don't freefall backward from the top of the slide that's a bajillion feet high. Or any feet high. This all-important lesson came about when Bubby thought it would be fun to throw himself off the top of one of the slides... backward. He — and I, camera in hand yet unable to photograph the worst of the tumble and twists — quickly learned the folly of such a fall. 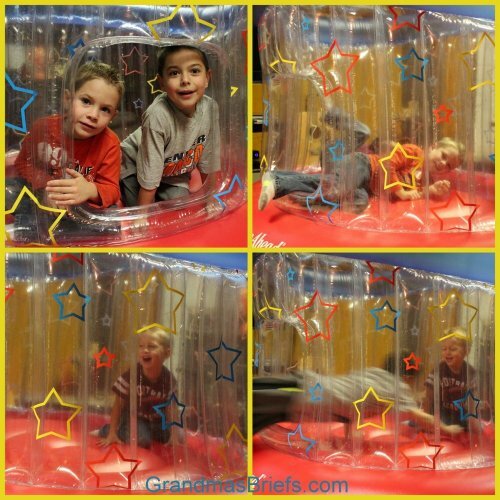 It scared the <cuss> out of Gramma; I immediately envisioned those waivers we had to sign before entering the bouncy fun coming into play because of a broken neck or back or both. Considering the nervous babbling Bubby did immediately after surviving the stunt, I'm pretty sure it scared the <cuss> out of him, too. At least enough to keep him from repeating the backward freefall trick ever again, I hope. Tip No. 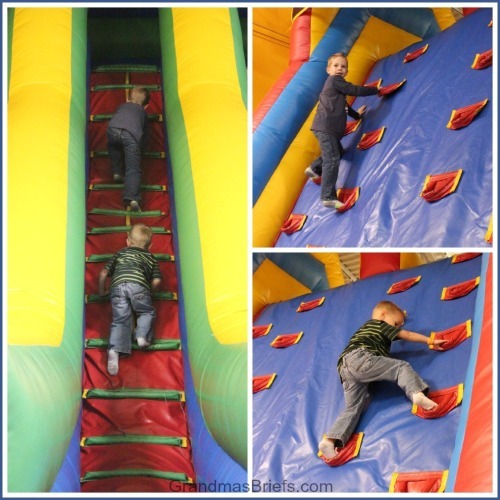 2: Toddlers don't necessarily enjoy the toddler room — especially if a big brother prefers the big bounce spots for big boys and girls. Mac never left the big-kid area, despite the more appropriately sized fun designed just for those 3 and under. And he managed just like a big kid — albeit by taking a running start then propelling himself up into the entrance of a few of the taller structures. Tip No. 3: Encourage kids to do a few things with their younger brother or sister, if applicable. Two reasons for this: It encourages the younger child to persist — and proudly succeed — when he thinks he can't make it... and it discourages the older child from attempting further backward fling attempts when a younger sibling's safety is at stake. Tip No. 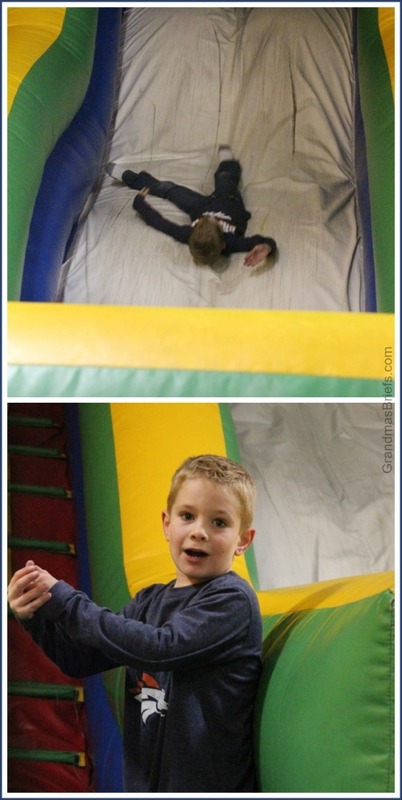 4: Bouncing is the least likely activity to take place in a bounce house. There's so little bouncing when there's so much else to do! Climbing, sliding, relaxing high above the other kiddos — and, of course, posing for pictures for Gramma. Oh, and the most enjoyable activity of all: running from pint-sized girls who prefer chasing boys they'd never met over bouncing — a chase in which my grandsons were delighted to participate. After two hours of non-bouncing fun, Mom, PawDad and I had to tear the boys away from Jump-N-Jacks. I have a feeling the need for tearing them away had more to do with those boy-crazy girls than any of the many inflatable bouncing opportunities Bubby and Mac claimed to have not yet gotten their fill. 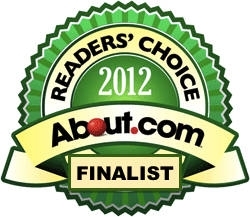 When did you last visit a bounce house or experience similar inflatable fun?